The iBulletin » News » Apple to launch an equipment to disrupt healthcare industry? On Thursday Apple, in an attempt to increase its influence in the healthcare industry, secured a patent for a device that appears to be a blood pressure measuring instrument. It seems that this device will connect to the existing Apple devices. From the attached images it could be inferred that the “portable multi-function device” is an Apple Watch. In case the product is released it will be Apple first device purely dedicated to healthcare and will come under US Food and Drug Administration oversight. FDA has been reluctant to let this happen for a while. Apple, on the other hand, has become more ambitious about health-related software applications in recent years. 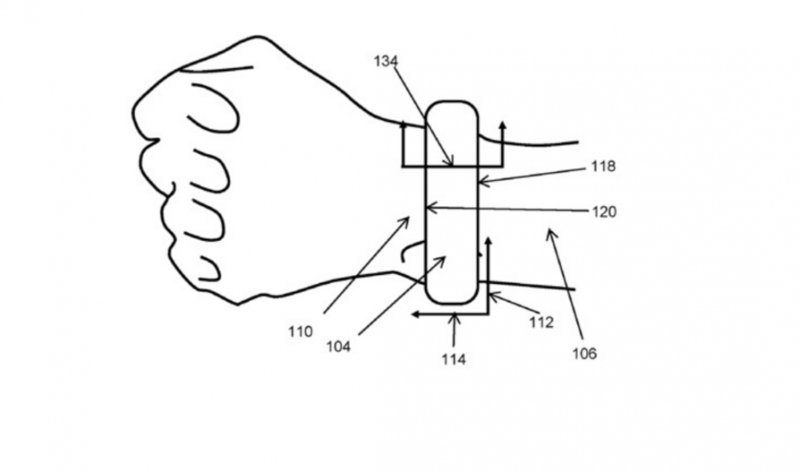 The patent application goes by the title of “Cuff Designs and Methods” is the work of six employees and it was filed in June of 2016. Apple launched it Healthkit back in 2004 and kept on increasing its features and productivity ever since. Earlier this year, Apple signed up 12 major U.S. health care providers to support Health Records in iOS. This is a major step towards digitizing health records and easily help providers share data while treating patients. Earlier this week, Apple opened its Health Records API to developers and the number of healthcare provider grew up to 39. A third-party, HealthKit-compatible blood-pressure monitor, QardioArm by Qardio, is available in Apple’s retail stores.